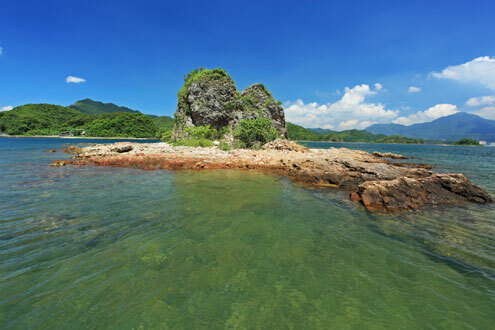 With its urban location and stunning coastal scenery, the Hong Kong Geopark shares many similarities and characteristics with our own Geopark including; amazing sea caves, wave-cut platforms, arches and sandy beaches. The numerous spectacular land forms and rock formations found in both Geoparks are easily accessible and offer perfect opportunities for geological exploration and discovery. By establishing a partnership between the two Geoparks, the aim is to form new working links as well as strengthening the existing relationship. This will be achieved through exchanging scientific information, communicating best practice and collaborating in areas such as research, education and training. It will also allow the two Geoparks to work together in developing and promoting Geoparks in urban environments. 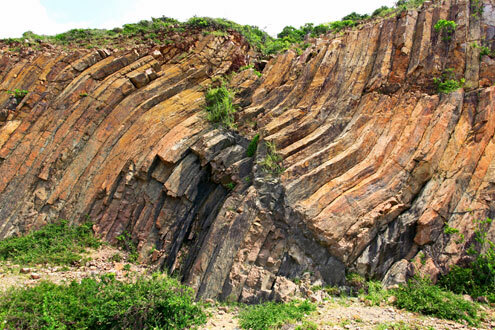 The Hong Kong Geopark is home to one of the world’s largest, and most spectacular, collections of hexagonal rock columns. These igneous rocks reach up to 30 metres high and were formed through volcanic activity approximately 140 million years ago. Their close proximity to the man-made High Island Reservoir highlights the contrast between the advances in human development and the beauty of the natural world, also a key feature of the English Riviera Geopark. Three other Geoparks also signed up to the agreement with Hong Kong: Itiogawa Geopark in Japan, Kanawinka Geopark in Australia, and Yangdanshan Geopark in China which will give the English Riviera Geopark further international links to all three.